London (AFP) – Commonwealth leaders agreed Friday that Prince Charles should follow his mother Queen Elizabeth II as the next head of the group, the BBC and other media reported. Queen Elizabeth on Thursday told leaders from the 53 member states that she wanted her eldest son to succeed her in the symbolic figurehead role. Leaders, gathered at Windsor Castle for private talks, agreed that Charles, heir to the thrones of 16 Commonwealth nations, should follow the monarch in the non-hereditary position, the BBC, Sky News television and the domestic Press Association news agency reported. 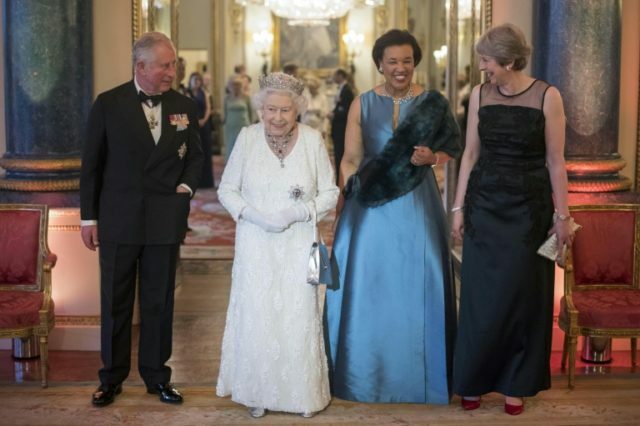 Following Queen Elizabeth’s public call as she opened the group’s summit on Thursday for potentially the final time, a series of Commonwealth premiers voiced their support Thursday for Charles as a figure of stability and continuity. Queen Elizabeth, who turns 92 on Saturday, spoke of her own “extraordinary journey” since pledging to serve the Commonwealth for life when aged 21. “It is my sincere wish that the Commonwealth will continue to offer stability and continuity for future generations and will decide that one day, the Prince of Wales should carry on the important work,” she said, referring to Charles. Queen Elizabeth has been the Commonwealth’s symbolic figurehead since her father king George VI’s death in 1952. Some republican voices had been angling for change in future. British opposition leader Jeremy Corbyn, head of the Labour Party, said on Sunday that the role could go to a rotating presidency. But British Prime Minister Theresa May gave her backing to 69-year-old Charles. “The government supports the Prince of Wales as the next head of the Commonwealth. He has been a proud supporter of the Commonwealth for more than four decades,” her spokesman said. And Grenada’s prime minister Keith Mitchell told the BBC: “It would be good news. Queen Elizabeth gave up long-haul travel to attend the biennial Commonwealth summits in 2013 and gatherings look set to be held outside Europe in the near term. Charles represented her at the 2013 summit in Colombo.